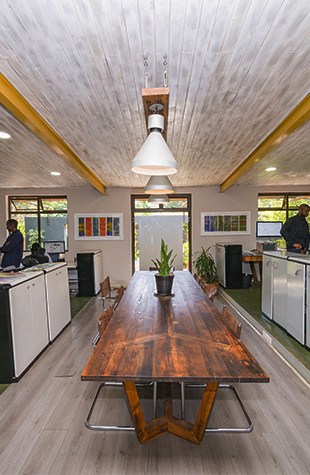 Form Studio Design is a spatial and interior design studio based in Harare, Zimbabwe. Founded in 2012, our passion is to create innovative, African-rooted design based on a combination of creativity, technical skill, and an unwavering pursuit of excellence in everything we do. We create transformative and well-designed spaces that foster productivity and meet physical and functional needs as well as promoting mental and spiritual wellness. Our team is led by Kerry van Leenhoff, who has over 10 years experience in interior design and architecture. She is supported by a skilled team of designers, architects, technicians who work collaboratively though each project phase, ensuring a consistent execution of work from inception stage right up to production and installation. It is this dynamic balance of expertise, experience and passion that has enabled us design and transform spaces that consistently meet and exceed our clients expectations.